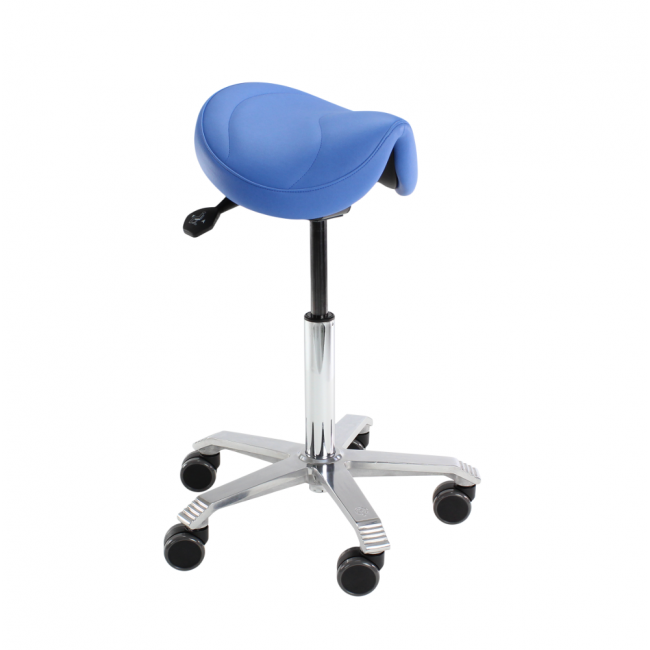 The Balance Stool is used to support the back and legs when the user is in a standing position while working at a bench or sit stand desk. 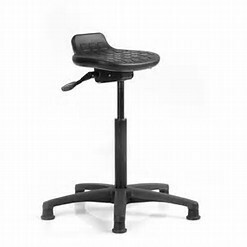 This Sit Stand Balance Stool is the perfect companion for a height adjustable workstation or for anyone working at various bench heights. The Sit Stand Balance Stool offers a dynamic seating option stemming from a convex base that allows the user to naturally move freely. The user leans on the stool at an angle and does not "sit" on top. This allows the users weight to be supported in the thighs. 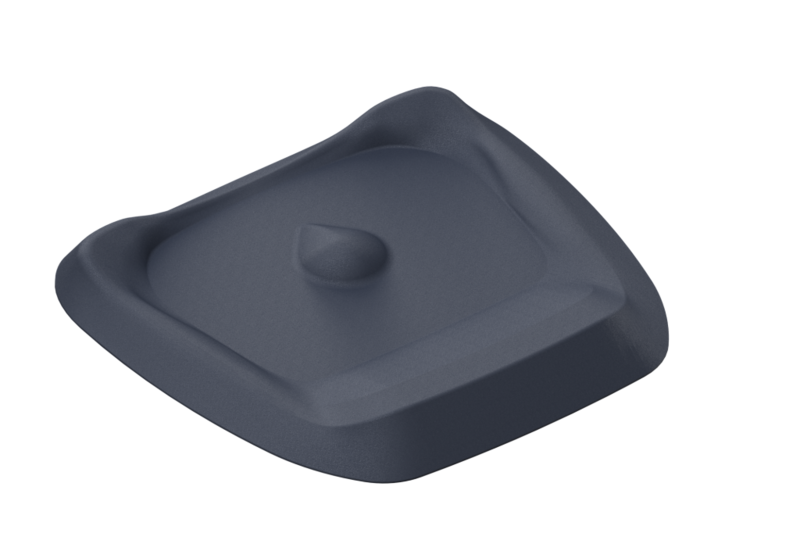 The angle of the cushion when in use rotates the pelvis slightly to straighten the users back. Height is easily adjusted with any one of 3 push buttons located at the base of the seat.